Social Media is a buzz word to describe a shift in communications that effects us all. In the future everything we do will be social. Right now we are living through a revolution where business is adapting to this new form of word of mouth marketing – Social Media. There’s no underestimating the powerful nature of this revolution. Social Media may appear to be all about Facebook status updates, but the reality is that this fun simple starting point has all sorts of ramifications for the way we will do everything in our lives. From customer service to how we learn at work it’s essential to get the skills to use the new medium and understand how. To get you started we need an initial understanding of what becoming ‘active’ in social media involves. Whether you are a big business with a team that needs to understand all this or a one man band ThinkSearch have the history and experience to provide the training and as much support as you need to make this transition a success, and ensure your interaction is authentic and your reputation successfully managed. 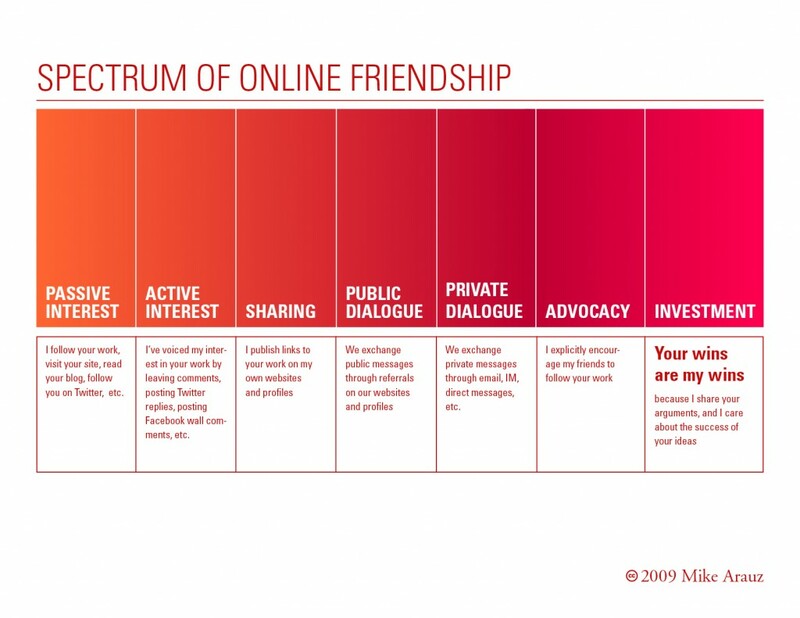 We think that the below graphic from Mike Arauz helps explain why it is important to build authentic relationships by using Social Media. If you are already set up with social media the next phase in your social existence is the best – this is where you get to play! Never forget that social media is not another marketing channel but a community of people just like you and me with a huge emphasis on the social. It’s the creation of the media that is important here – when the network is understood the better the content it is fed the further your brand will go.